The traditional alternative to oarlocks, these wooden pins come standard on our dories. Need some replacements? We sell them by the dozen. 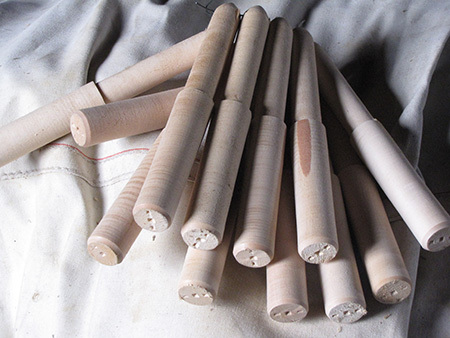 We have two different sizes of shaft: 5/8" and 3/4". Price varies depending on the size and how many you would like, so please contact us for a quote.